Incorporated social media accounts and newsletter feeds. 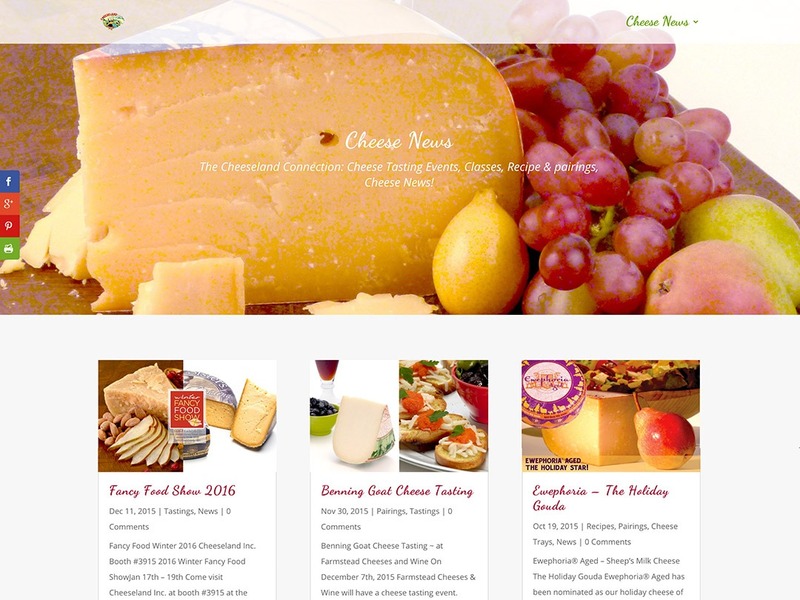 Cheeseland Inc. decided it was time to launch a blog and begin to serve their customers through social media. A visually appealing blog that links to all their social media outlets. Every new post on their blog directly delivers to social media sites. 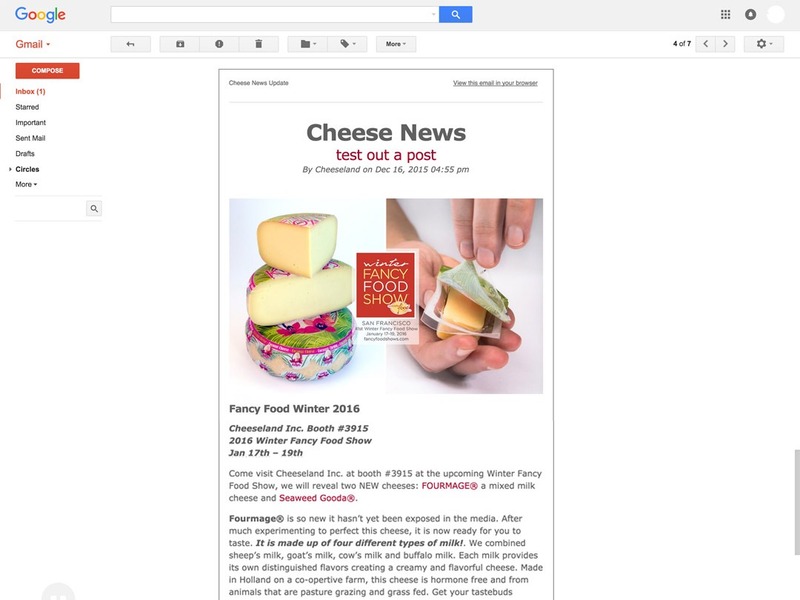 An visually sympathetic automated newsletter goes out to those who sign up for it. Grab customer attention with appealing images and design. Written and displayed in and appealing layout. In collaboration with the company, content is tailored to appeal to customers. Each article post is connected to social media accounts. 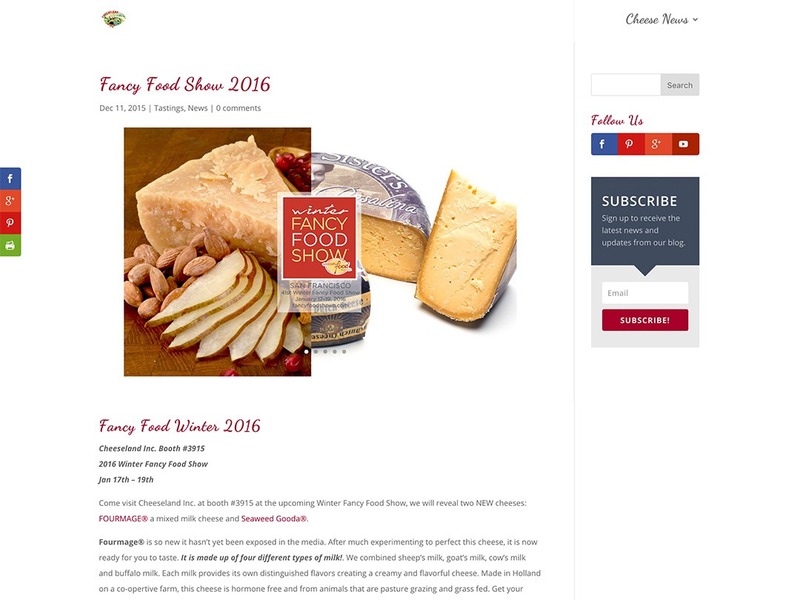 Visually stunning RSS Feed to Email updates for those who opt-in to receive the Newsletter. 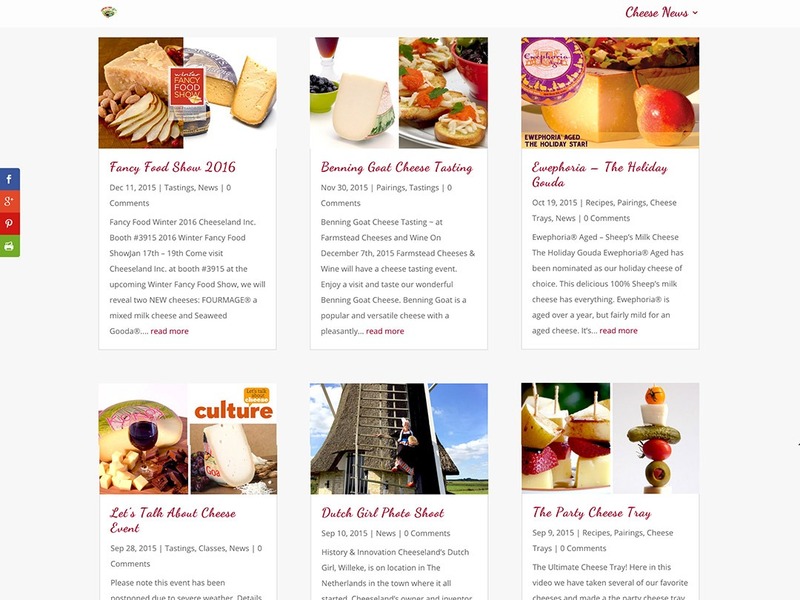 Visit their blog to see a visually stunning way to connect with your online clients.